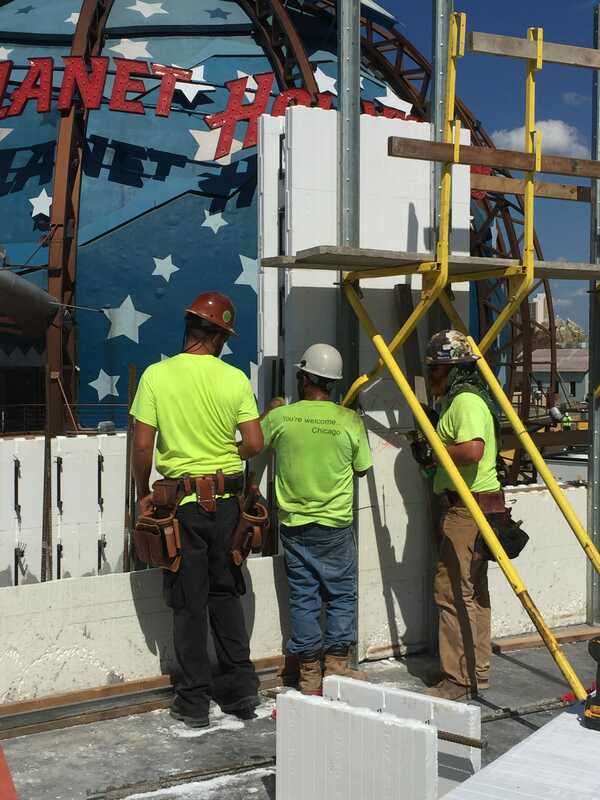 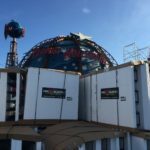 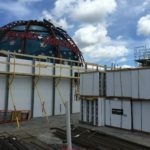 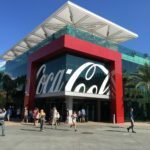 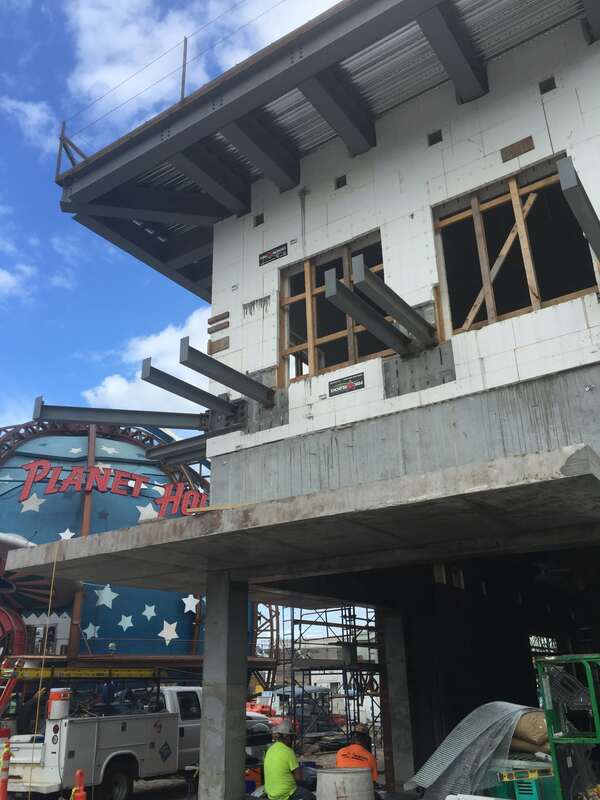 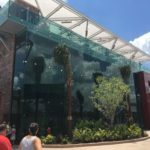 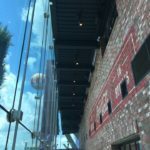 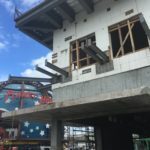 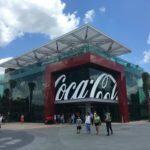 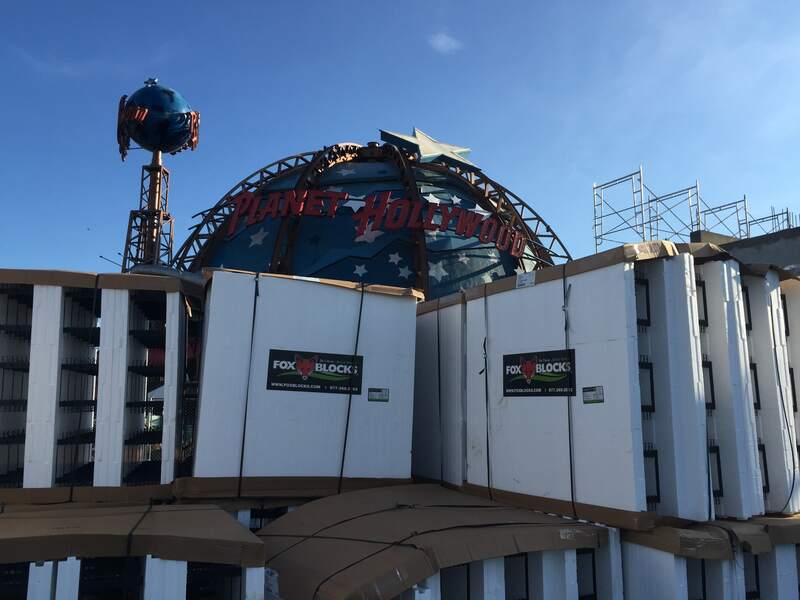 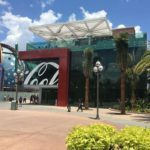 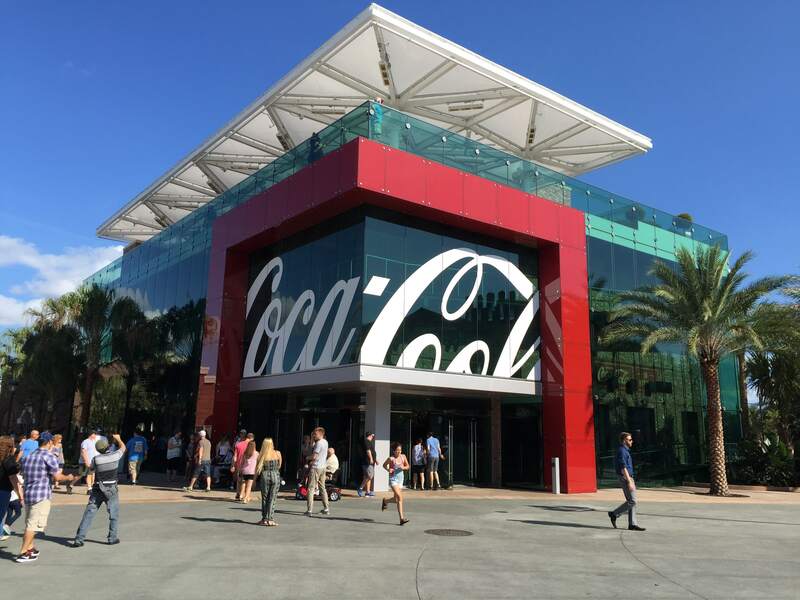 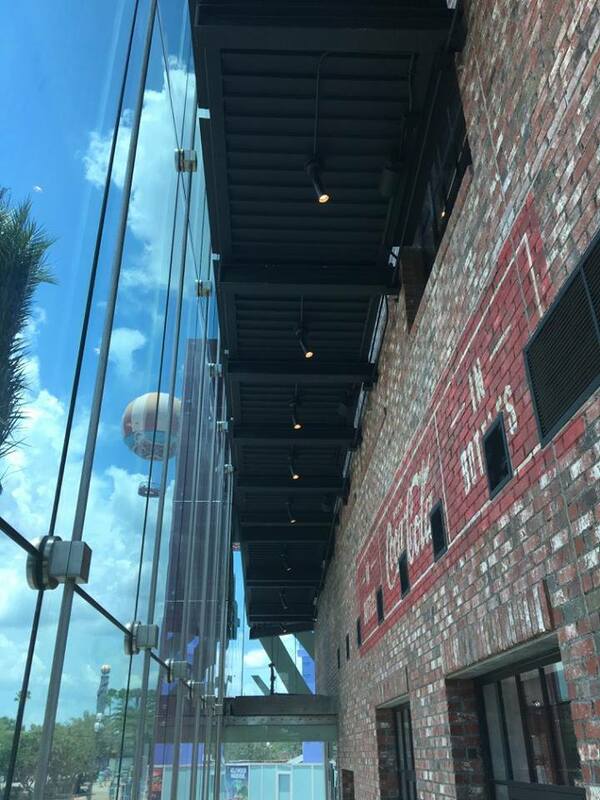 This project is an iconic cornerstone at the newly re-imagined Disney Springs entertainment complex at Walt Disney World. 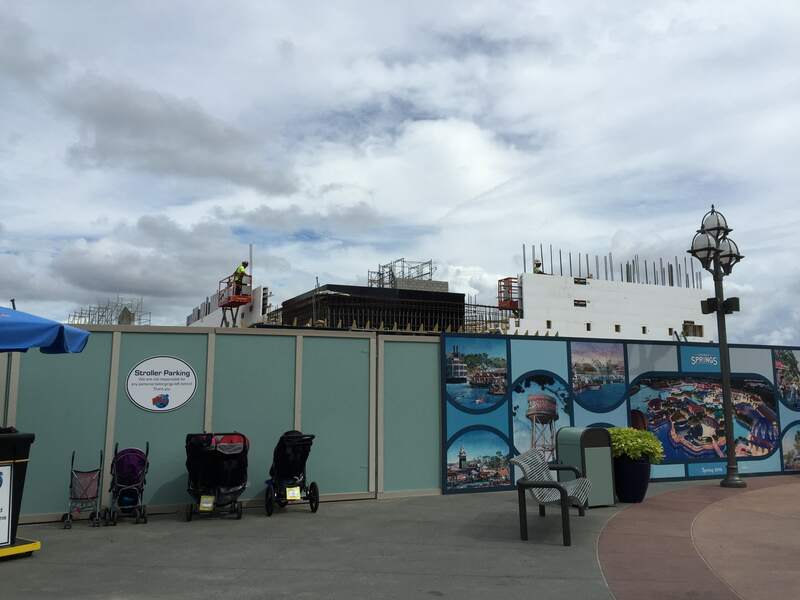 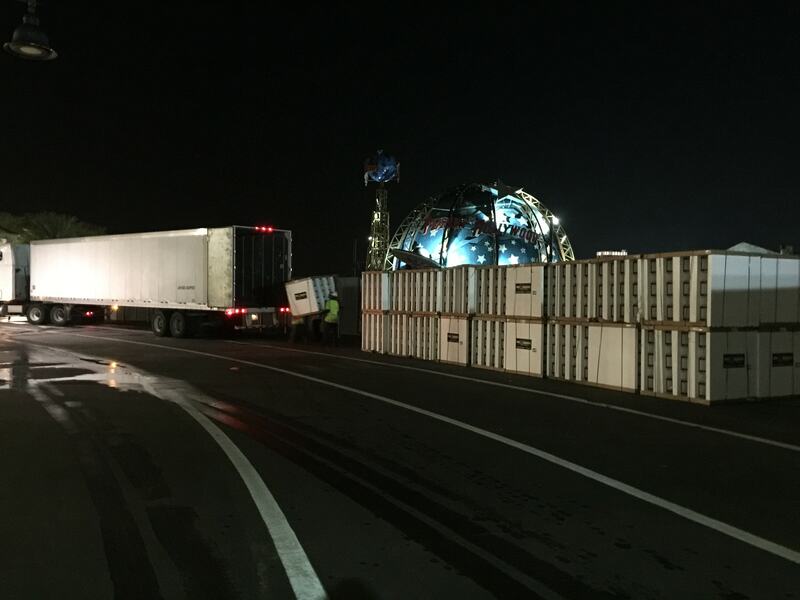 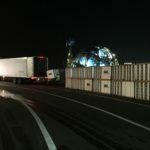 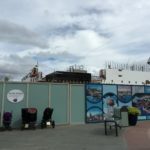 Construction of the 19,000 square foot, multistory building was in constant view of the public and under daily observation of the Walt Disney Imagineering team. 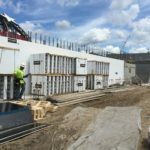 The 8″ concrete core of the Fox Blocks ICF allowed the design engineer to integrate CIP columns, CIP beam and tie-ins to the CMU walls. 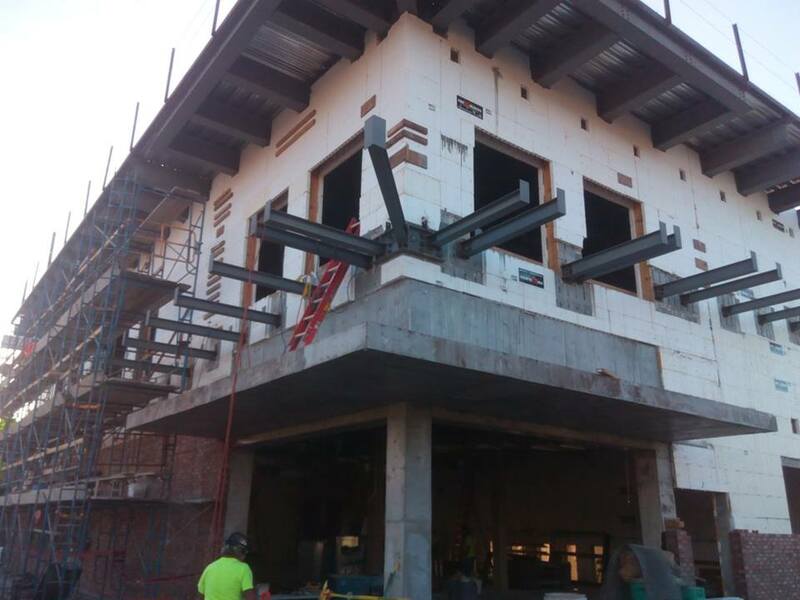 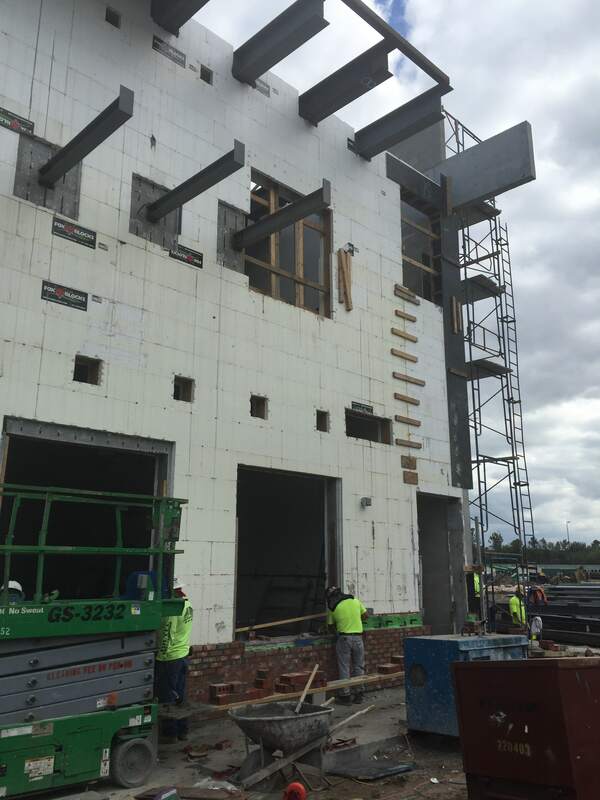 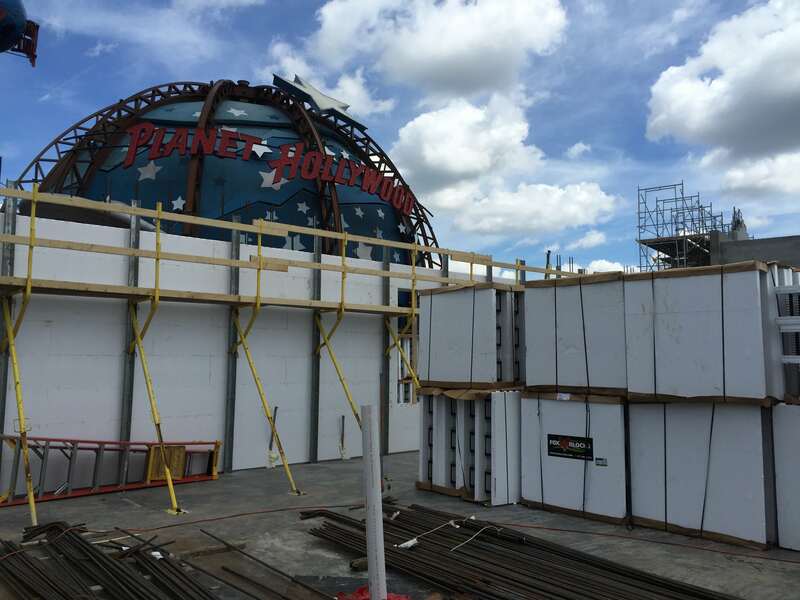 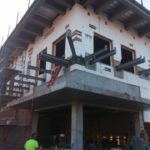 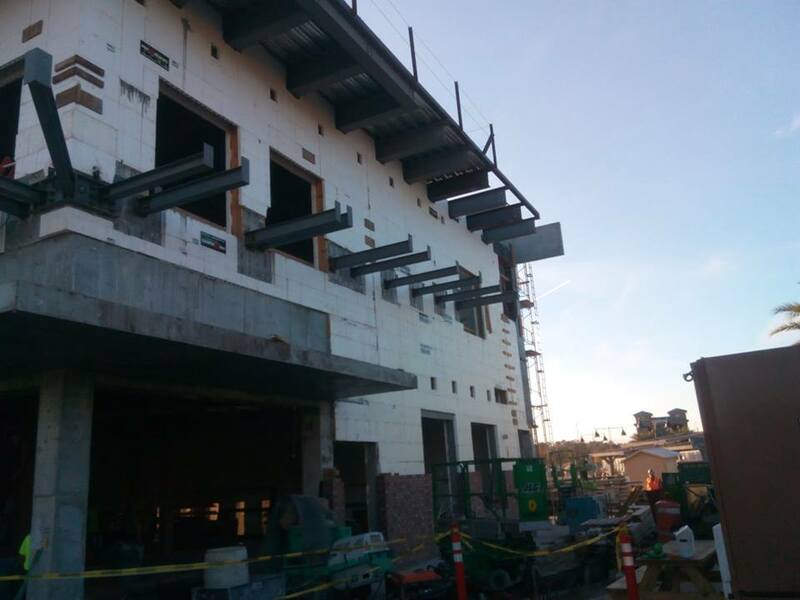 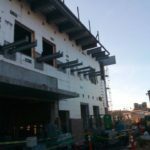 The expanded core size allowed for placement of structural steel embeds and in-wall columns (pilasters) to provide the support required for the vast open areas used for the retail function of the first two levels of the building. 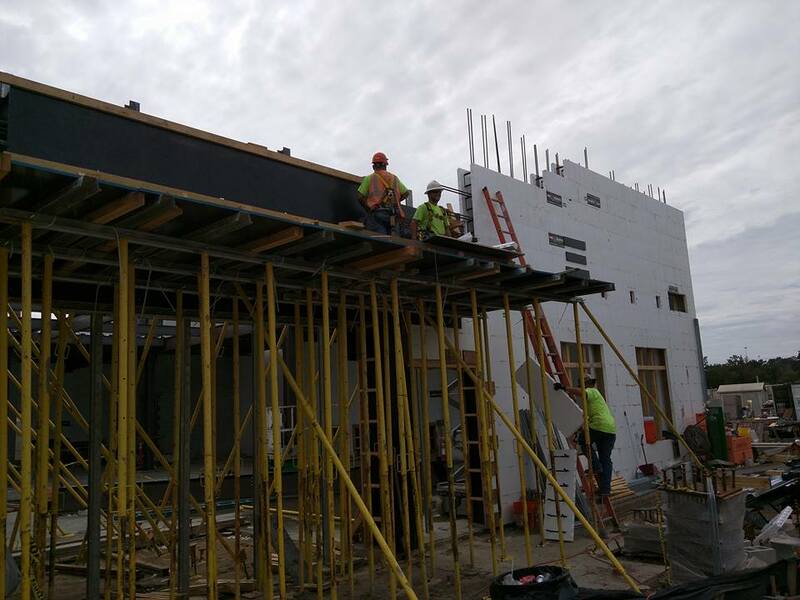 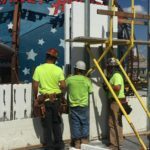 Fox Blocks accommodated Interaction of numerous structural systems including ICF to CIP, ICF to CMU, ICF to Structural Steel and integration of cantilevered beams and a slab into the ICF system. 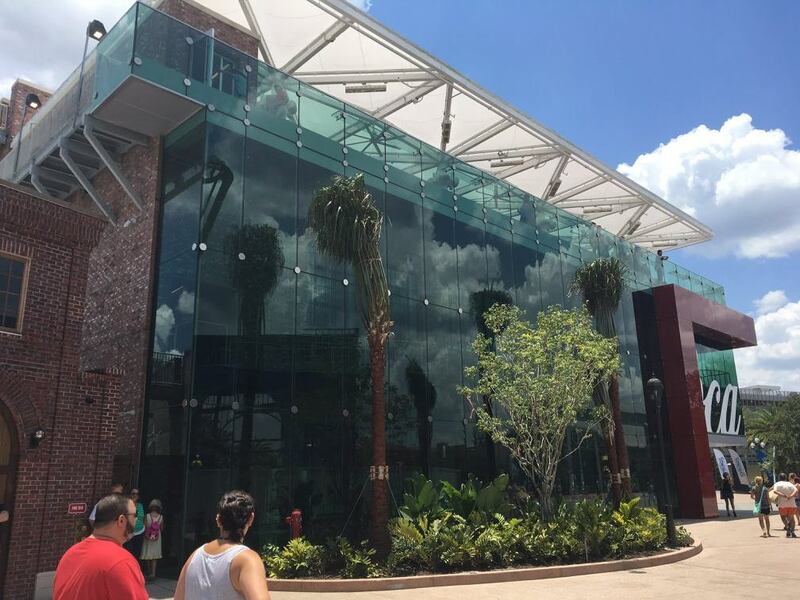 With the building hosting both retail and customer experience stations, a well-designed and efficient use of resources to properly cool and dehumidify the indoor environment was crucial in the overall success of the space. 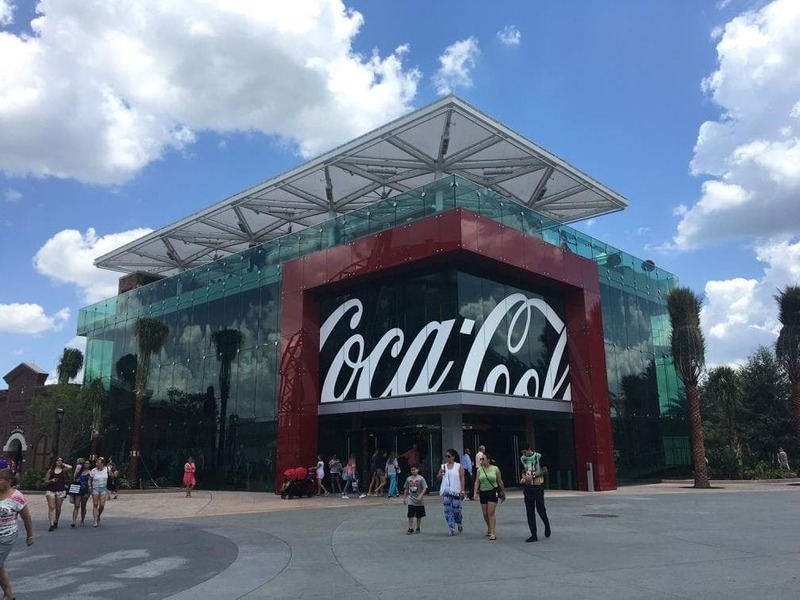 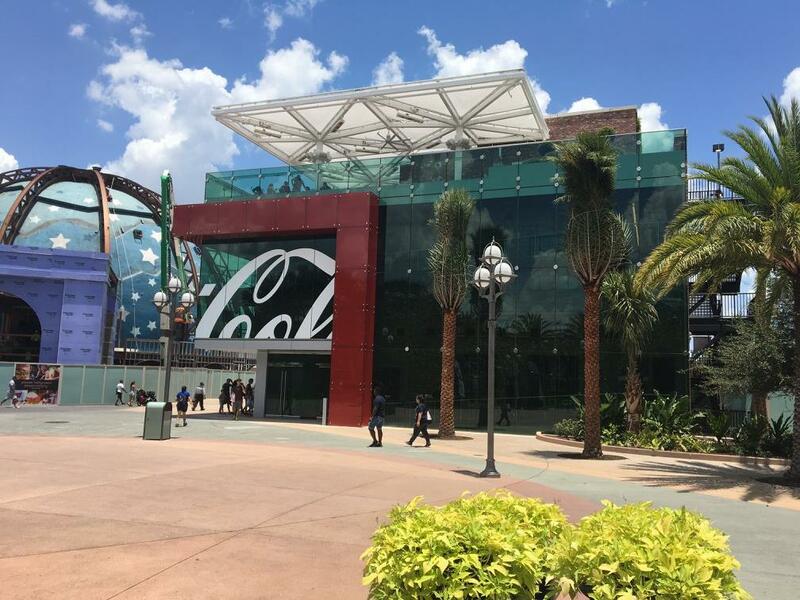 Finally, an immense “Coke Glass” exterior with cables supporting the glass panels was layered on the entire height of two elevations (North and West) with real brick on the other two elevations. 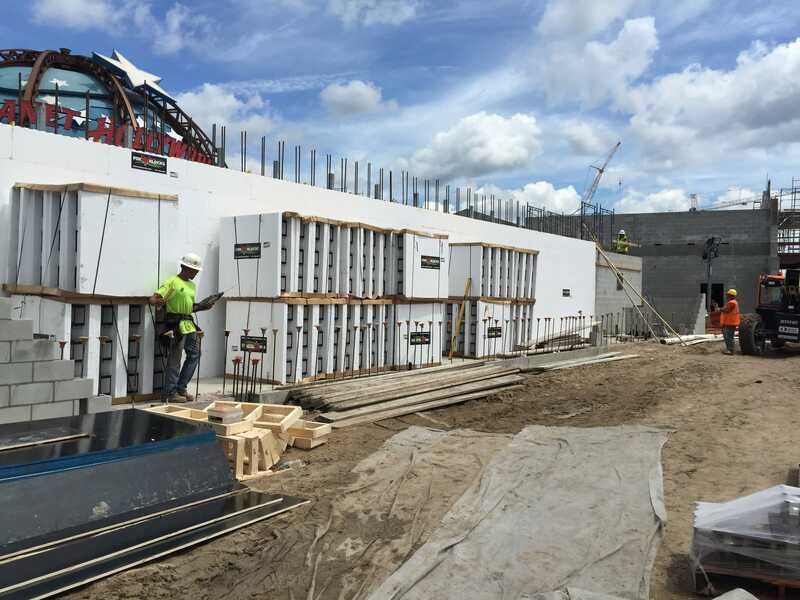 The Fox Blocks ICF walls provided the proper securement of both features. 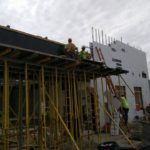 Architect Baker Barrios Architects Inc. 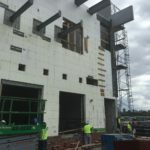 Structural Engineer Amore Engineering Inc.